MOSCOW, August 11. /TASS/. 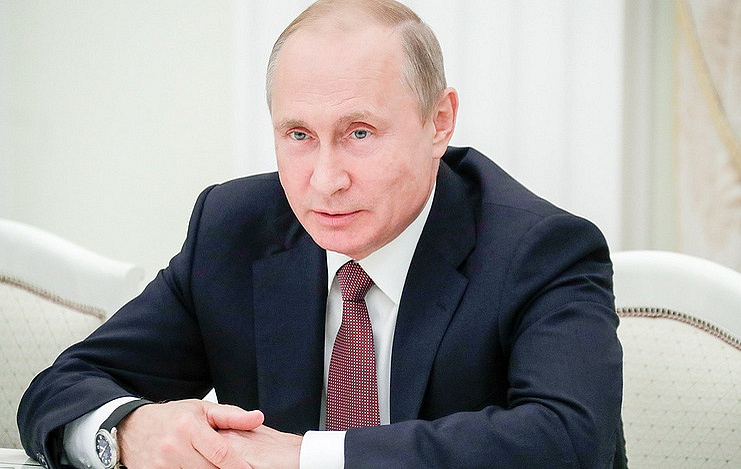 Russian President Vladimir Putin has congratulated amateur and professional athletes and physical culture workers with Physical Culture Day, the Kremlin press office reported on Saturday. "This remarkable holiday is widely celebrated across the entire country and unites a large number of people - athletes, coaches, workers of the sphere of physical culture and all adherers of the active and healthy way of life," the president said in his congratulations. Mass sports development is a key state task, Putin stressed. "We will continue paying great attention to improving sports infrastructure and preparing highly skilled specialists, instructors and tutors. It is important that every person should be able to engage in his or her favorite kind of sport, irrespective of the person’s age or profession. This is because sport fortifies an individual’s spirit and will and teaches how to overcome difficulties and persistently seek to attain the goal that has been set," the presidential congratulatory letter reads. "Many of our celebrated champions and record-holders started their ascent to the sports Olympus precisely from the physical culture movement, from school sports sections and groups," Putin said. Russia annually celebrates Physical Culture Day on the second Saturday of August.